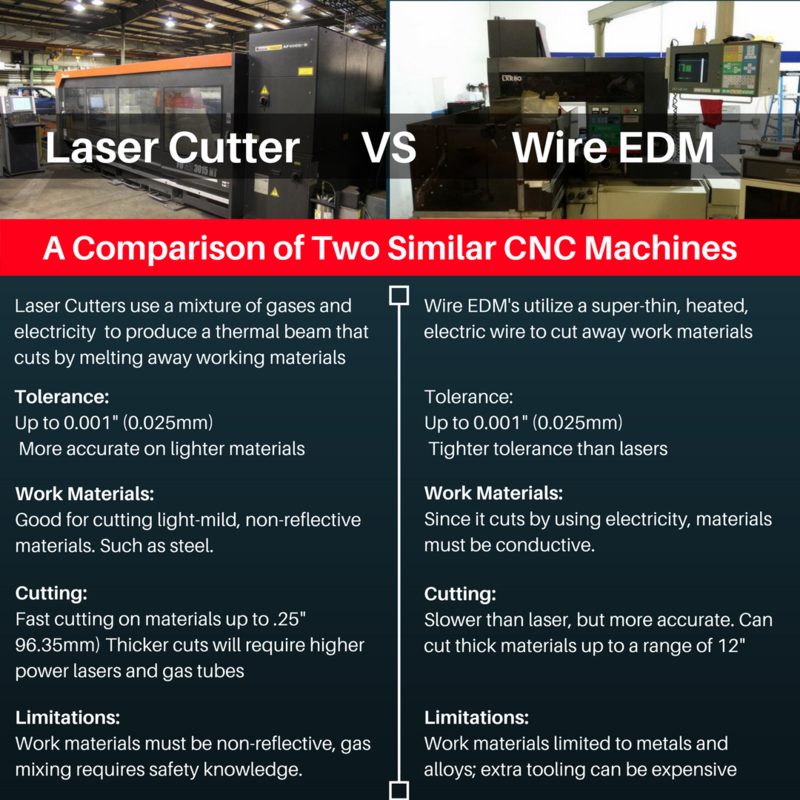 This infographic should answer some basic questions you may have had about the differences between lasers and EDMs. For example, if you are cutting thick steel, then a wired EDM will be better choice than a laser cutter, which are limited to cutting thinner materials. However, if you are working with thin metals and need a higher rate of production, then it may better to go with a laser, since they are generally faster than EDMs. Ultimately, picking the right machine will depend on your business needs. Use the form below to use our smart content and find the right machine for you business.